Our third Christmas without Harambe will be a sad one. This Christmas, celebrate the life that ended way too short with this Christmas ornament. Christmas is usually a joyous holiday. Though, it can be a tough time of year when we celebrate Christmas without after losing someone we love. 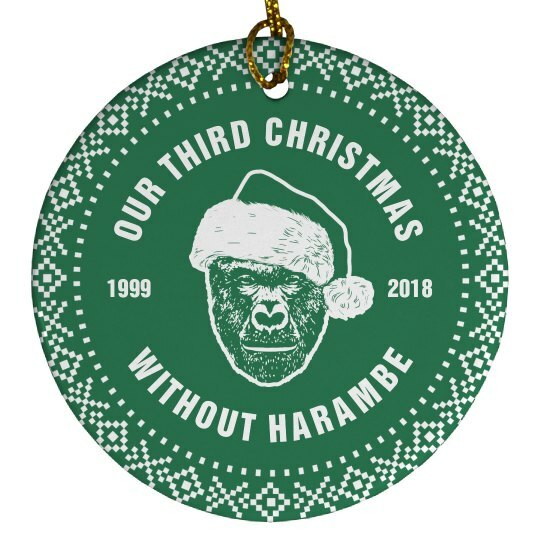 This year is our third Christmas without Harambe. RIP Harambe, you were the true MVP. This ornament will live forever, even though you couldn't.